Killed A Young Girl. It was Fine and Hot” was the horrifying entry for the 24th August 1867 in the diary of Alton Lawyer’s Clerk, Frederick Baker. The book details the abduction and murder of eight year old Fanny Adams along with the arrest, trial and subsequent hanging of Frederick Baker. It also examines the chaotic and schizophrenic life of Baker as he left a comfortable home life in Guildford to wander the streets and workhouses of London before settling in Alton. The book also contrasts his treatment in court with that of Daniel McNaughton whose trial laid down the guidelines for the judicial treatment of the criminally insane. 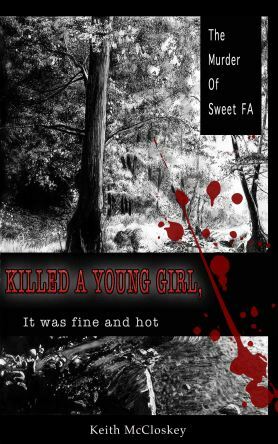 Baker’s possible connection to the murder of another young girl, Jane Sax, is also described and finally it explains how the term “Sweet FA” came into the English language.